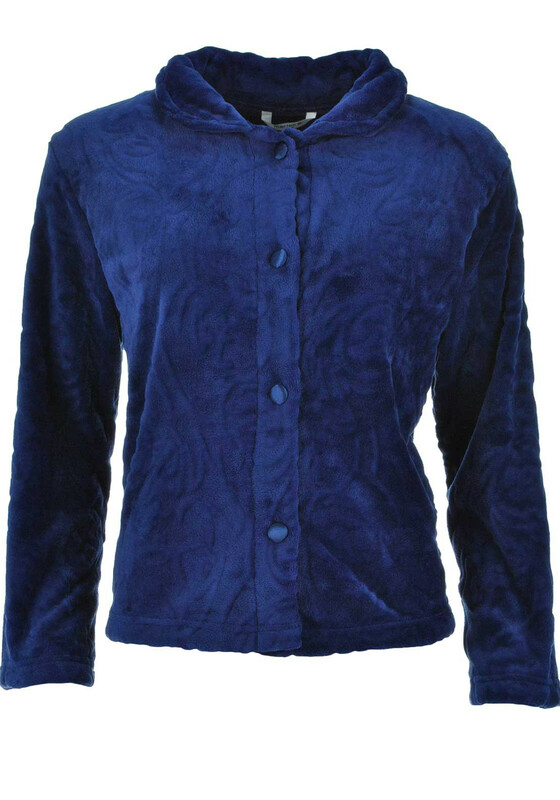 A great extra layer for relaxing in the evening or keeping you warm in bed, this navy bed jacket from Marlon would be a cosy cover up for your nightwear collection. 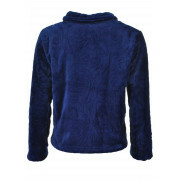 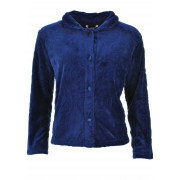 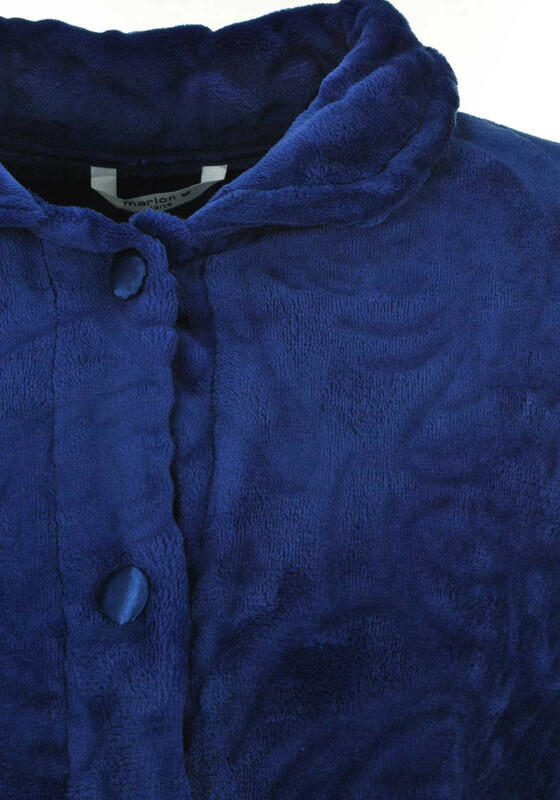 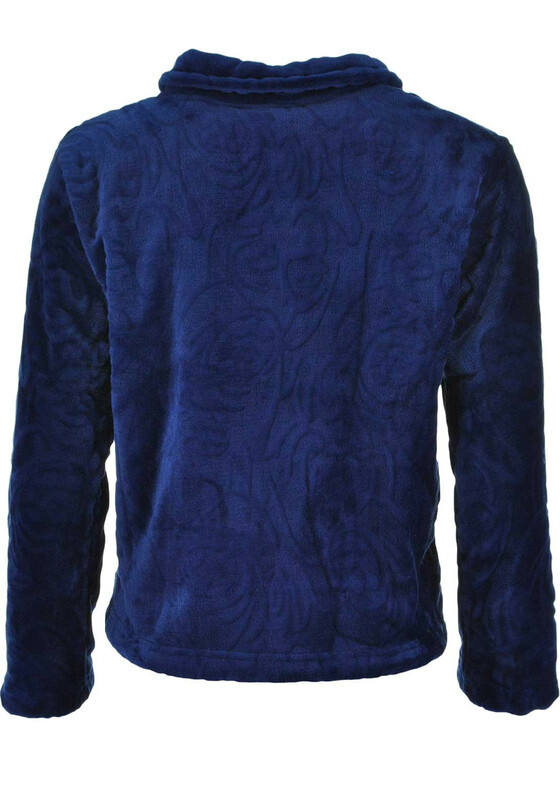 Made from soft and cosy fleece fabric with an embossed print throughout. 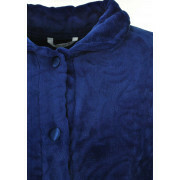 Designed with a comfortable waist length and featuring full button fastening and stand up collar.